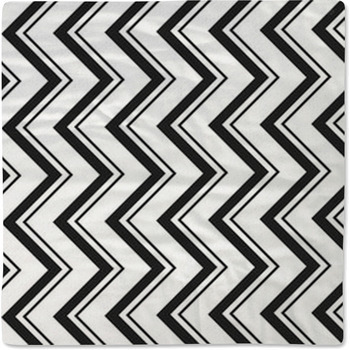 Dazzle your infant or toddler with the proud lines seen on our chevron baby bedding. 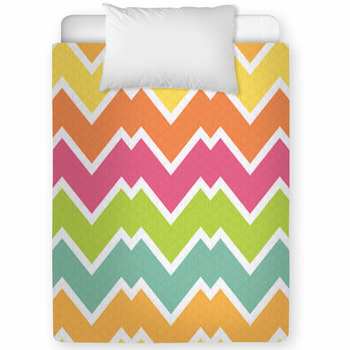 Choose the bright colors that little kids adore on crib bedding that matches your decor style. 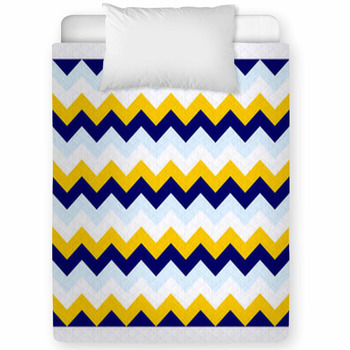 Our baby bedding is fit for infants and toddlers alike, and the chevron patterns available have simple, classic lines that are perfect for a bold statement in the nursery. 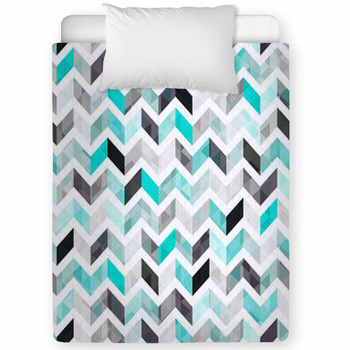 With colors ranging from shades of deep blue to sky blue, and others with olive and earthy tones, you can find chevron striped bedding to support the most important member of your family. 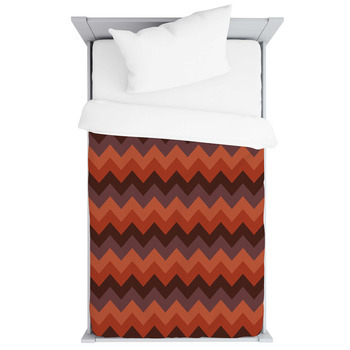 Our chevron baby bedding will entrance your infant with geometry and motion from baby blankets that picture zigzagging lines of bright red and white alternating together. 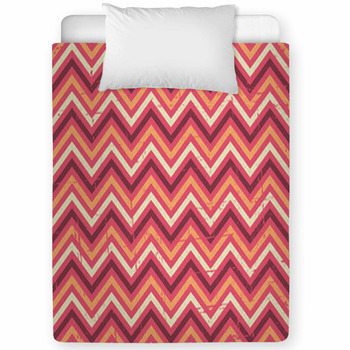 For a girl, go with crib bedding that blends soft hues of lavender, violet, aqua, pink, and orange on wide chevron stripes. 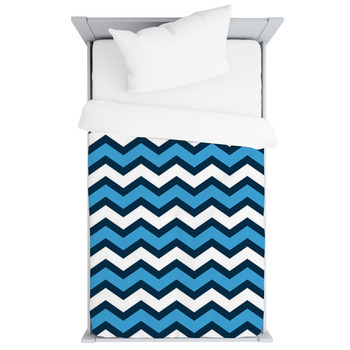 Bring even more dynamic imagery to the crib on chevron bedding that adds tiny white polka dots to a zigzag pattern. 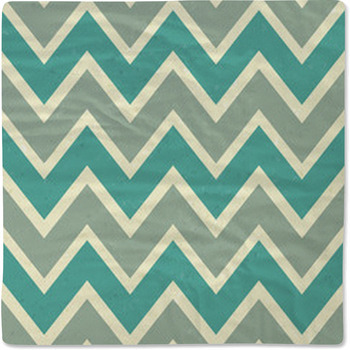 And if our chevron designs and colors aren't ideal for your nursery, then design your own. 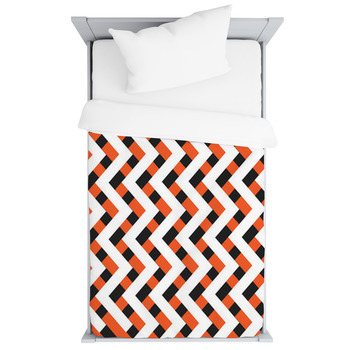 Here at VisionBedding, we offer full personalization and customization options so you can create the V that your child responds to best. 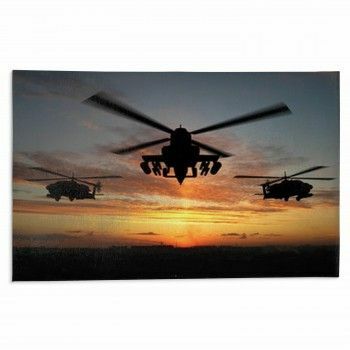 You can change the color of the pattern to match the wall mural in your little one's nursery. 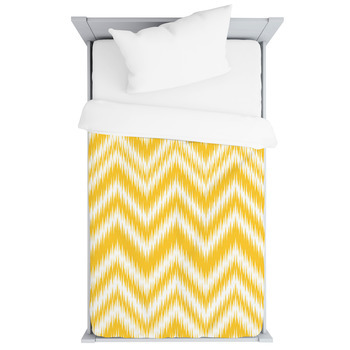 You can brighten the luminance of our designer colors for chevron stripes that seem like they'll fall off the wall, or sap the color for black and white chevron to create a moody and clean nursery. 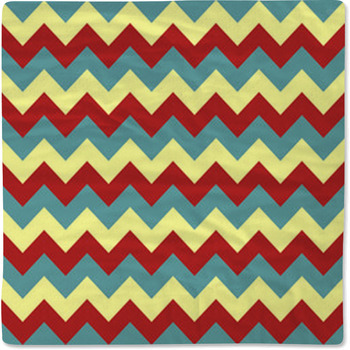 Even layer your own message to the chevron patterns for personalization that your baby will appreciate in the years to come. 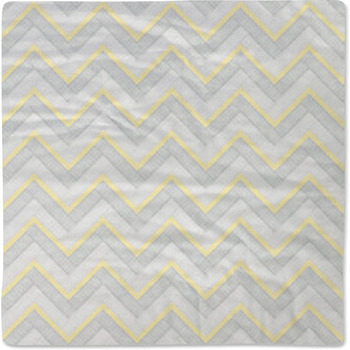 Bring a simple and classic pattern to the youngest member of your household with our chevron baby bedding.